This summer, Belmond unveils its new-look Belmond Savute Elephant Lodge in the Chobe National Park, following a full redesign by Inge Moore of Muza Lab. Celebrating the golden age of exploration, the designs are inspired by the great explorers of history, from scientists, botanists and adventurers who pioneered a new era in travel. Respecting the nature and the wilderness of the region, sustainable design features include the removal of all concrete; the use of eco-friendly composite bamboo decking in the principal areas and the lodge will function on a 95% solar grid system. 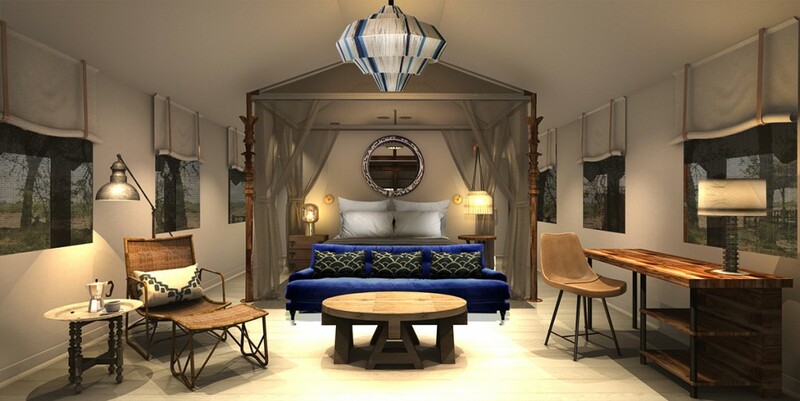 The lodge will be an authentic, timeless explorers retreat with modern luxuries to satisfy today’s curious adventurers.